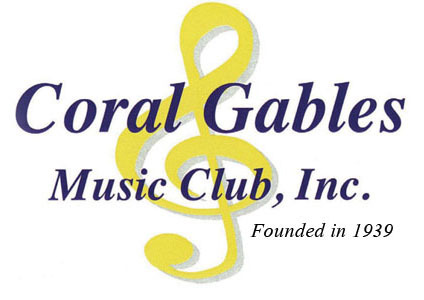 The Coral Gables Music Club Is a social club for music lovers throughout Miami-Dade County. 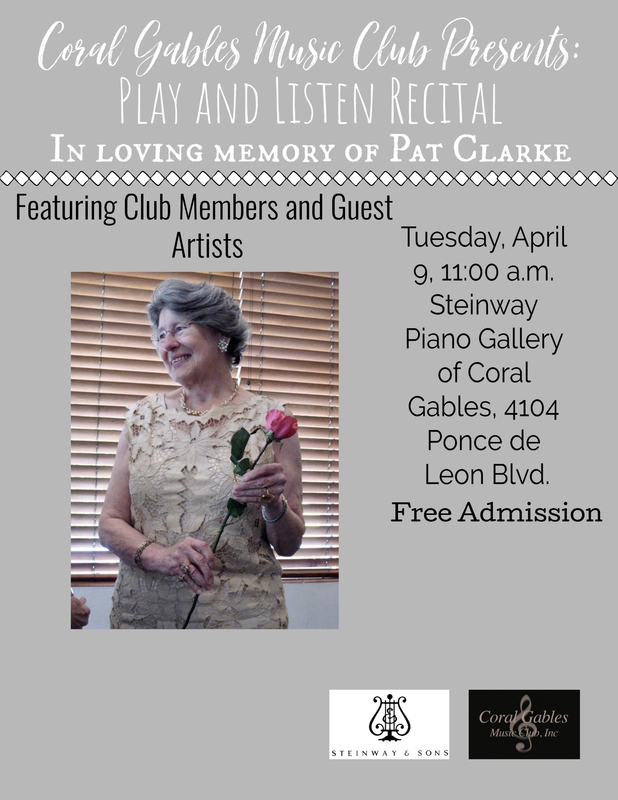 During the season the club presents monthly programs of high caliber with socializing and refreshments for all. The club also supports musically talented young artists with scholarships. 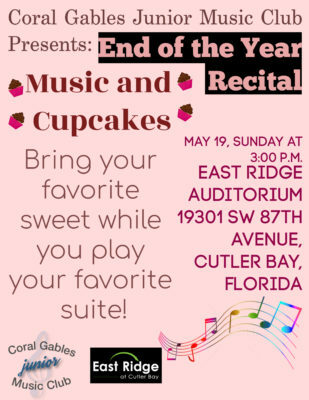 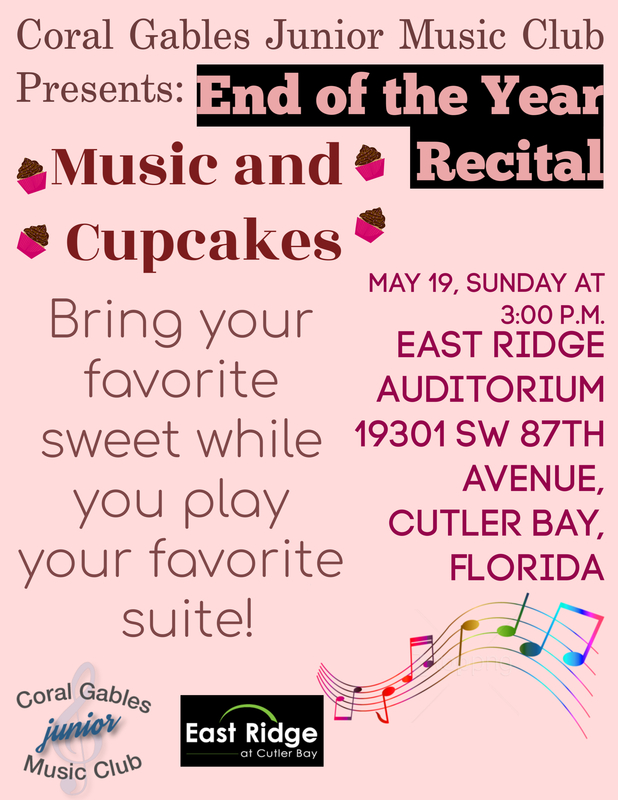 Each year qualified music students compete for scholarships Any music student living in Miami-Dade County or who studies Music in Miami-Dade Country who has not yet graduated from High School is eligible to audition for the Coral Gables Music Club Scholarship Committee. 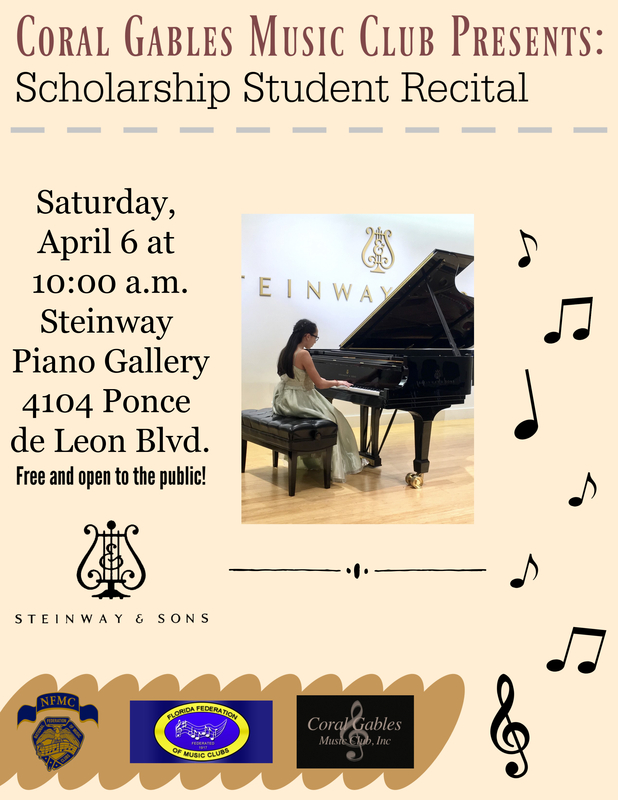 Funds for these scholarships are raised through the club’s fundraising events and from donations, bequests and legacies. The club, founded in 1939 usually meets on the third Tuesday morning every month at 11:00 a.m. from October through May.